Technology is vastly changing and becoming more efficient throughout all industries. The technology that has improved the workflow which I’m involved with is the transmission of various broadcast and studio signals within our facility and abroad. Not so long ago, to get a signal from a remote location such as a sports venue, race track or a live event (political, concert, etc.) back to a studio was accomplished mainly by using microwave or satellite. 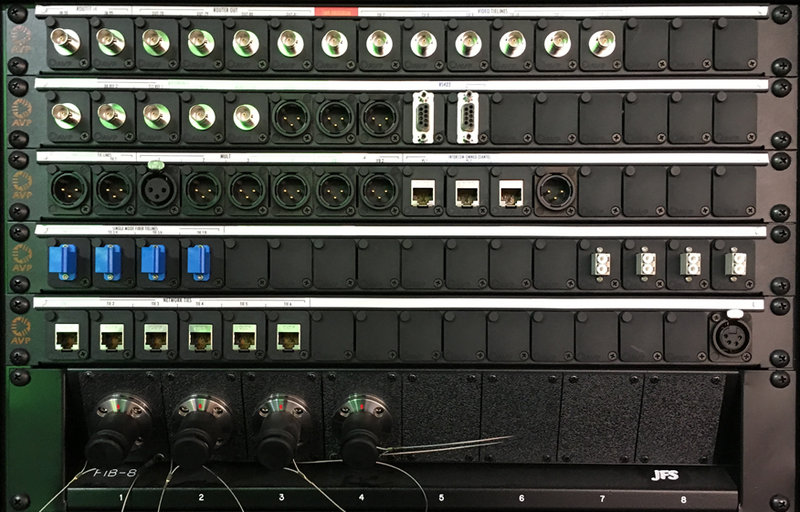 Nowadays, the use of fiber has become a proven technology that is much faster, more robust, less expensive and quicker to setup and teardown than the microwave or satellite systems. Fiber connectivity is widely installed and is continuously being expanded throughout the world at significant facilities thus making a bidirectional connection possible. SNEAKY BIG’s Central Equipment Room. Sending Signals to the Edit Suites. Barnfind manufactures one of the products we use internally. The Barnfind product converts signals from copper to optical and visa-versa then it is sent throughout various areas of our facility. One example is to and from our central equipment room to the edit suites. On one strand of fiber, we send a combination of 14 HD/SDI and one composite path to and from each edit suite. There are five edit suites, and they are 400 feet from the central equipment room. There is one fiber per edit room for transmission versus 15 copper cables to and from each edit room to the central equipment room. 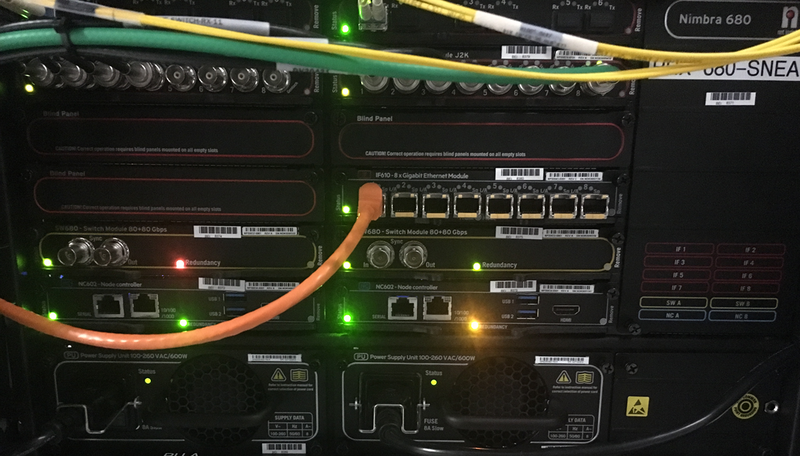 We use a Net-Insight Nimbra 680 for connecting to locations beyond our facility. This product allows fiber connectivity abroad and will enable simple connections throughout the nation for various events. There are several strategically placed BSP’s (Broadcast Service Panels) in our facility. In these BSP’s there are copper and fiber connectivity to our Central Equipment Room. These BSP fiber connections make it very easy to accommodate the various clients that utilize our facility. We can easily cross connect signals from any location to our router then send to the desired destination. There are several signals that are required for multicamera production setups. Some of the signals may include multiple HD-SDI video, various types of analog and digital audio, interruptible foldback (IFB), Party Line Communications, control signals, etc. It would take many runs of different types of copper cabling with various terminations to connect everything. Using fiber, either dual link or CWDM (to combine many signals on a single fiber capable of transmitting bidirectionally), we can simplify and maximize the transmission path and shorten the time it would usually take to bring a system or production online. Fiber has a much longer range than copper cabling. Depending on the SFP’s (small form-factor pluggable) transceivers being used, the transmitted bandwidth, and the mode of fiber, fiber can deliver high-quality signals up to 80 kilometers. Copper cabling is dependent on the cable used and has a much shorter range. Cat6 with a 10Gb/s data rate has a maximum length of 100 meters. Depending on the specification of the cable used, an SMPTE 292M HD/SDI 1080i with a data rate of 1.5 Gb/s signal has a maximum length of approximately 165 meters. Overall, A More Convenient Connectivity. Fiber has many advantages over copper in many situations. Fiber is much smaller in size and lighter than copper cable, and, as we’ve shown before, it can carry more signals on a single strand of fiber than copper. Installations are much neater in appearance because fiber requires less real estate than copper cabling in overhead trays, riser panels, and equipment racks. Smaller and less rigid cable trays are required for the payload of fiber. On the other hand, fiber is much more fragile than traditional copper and can cost more per foot. A few variations of SFP’s. 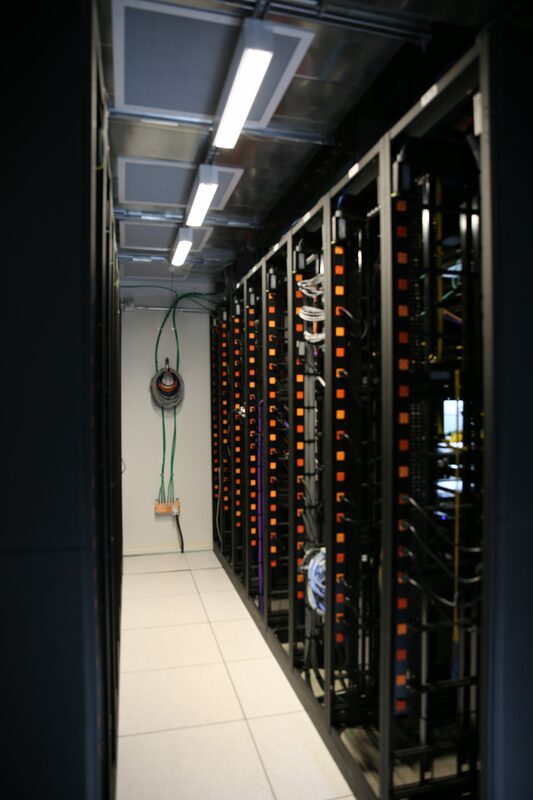 Having said all that, fiber optic cable is an integral part of our facility. We use it to transmit and receive signals at distances longer than limitations of traditional copper cable. It allows us to have higher speed connectivity on our data network and will be an important part of the future growth of SNEAKY BIG as we expand.